Thank you so much for your beautiful reviews!! This year we received again the excellence certificate Holiday Check! We do our best to make you feel at home and offer you an unforgettable holiday. 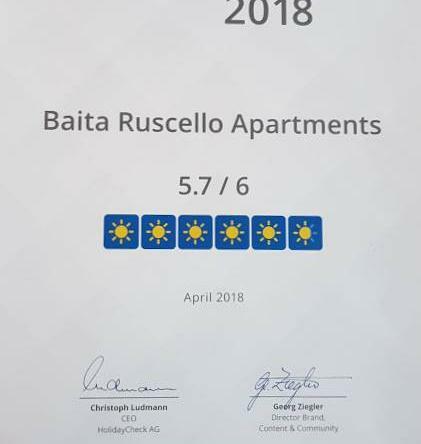 It is alwais a pleasure for us to welcome you in our Baita Ruscello.